Adnan Mansour, minister of foreign affairs in Lebanon’s Hezbollah-led government, has spurned U.S. ambassador in Beirut Maura Connelly’s call for the protection of unarmed Free Syrian Army (FSA) elements sheltering in Lebanon. Camp Ashraf refers to the refugee camp set up in Iraq’s Diyala province for Iran’s exiled Mujahadeen-e-Khalq at the peak of the Iran-Iraq war. After her meeting earlier in the week with Interior Minister Marwan Charbel, the embassy had issued a statement saying, “Ambassador Connelly recognized Lebanon’s efforts to provide assistance to Syrians fleeing the violence in their country and she encouraged the Lebanese government to continue its cooperation with the international community and provide for the humanitarian needs and safety of all Syrians who have fled to Lebanon, including dissenters and deserters. 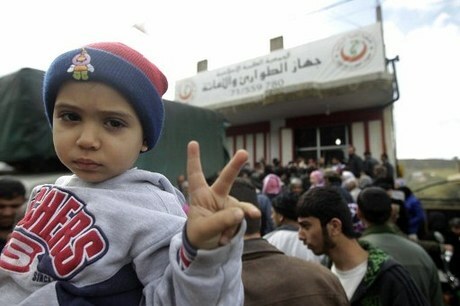 Since the outbreak of the Syrian uprising a year ago, at least 10,000 Syrians have crossed the border into Lebanon. By last month there were about 7,400 UN-registered refugees in northern Lebanon, with thousands living unregistered in the hills and in Tripoli. They were joined last week by another 1,500-2,000 who fled the Syrian Army’s bombardment of Baba Amr and al-Qusayr and sought refuge in Lebanon’s eastern Bekaa.